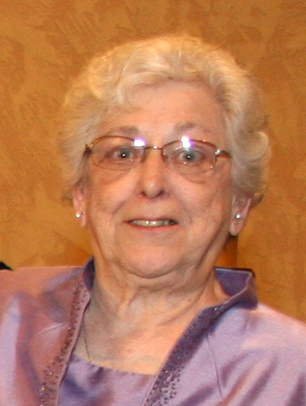 Patricia C. Corcoran, 80 of West Deer Township died Sunday June 17, 2018 at UPMC-Passavant. She was born November 3, 1937 in Belleviue and had lived in West Deer most of her life. Pat was a1957 graduate of West Deer High School. Pat was a member of Transfiguration R. C. Church, Russellton, where she was active with the church Rosary Society, the Ladies of Charity, the church decorating committee and was in charge of the bake sale for the past 9 years, of the Community Fish Fry, sponsored by Transfiguration and St. Victor Parishes. She enjoyed baking lady locks but especially enjoyed spending time with her husband, children, grandchildren and her family. Survivors include her husband of 50 years Robert G. Corcoran, her son Anthony J. (Angela) Corcoran of West Deer and Helen M. (Regis) Kudrav of Claysville, her grandchildren Harry, Dylan, Grant, Olivia, Mackenzie and Clark, her siblings Loretta Dillner of West Deer, Sr. Jean Anthony Alexandrunas of McCandless, Fr. Albert Alexandrunas of Cabot, Judith Ager of West Deer and Paul (Virginia) Alexandrunas of West Deer.